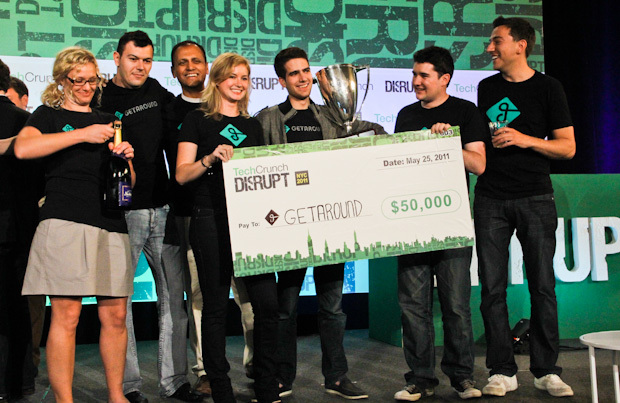 And The Winner Of TechCrunch Disrupt NYC Is…Getaround! 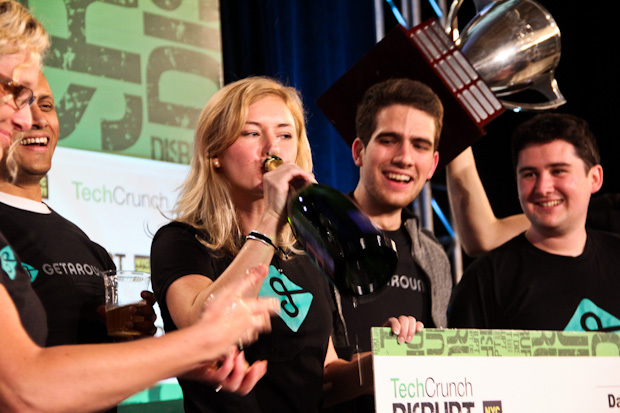 Three days and 32 startup pitches later, the winner of TechCrunch Disrupt has been determined. Out of the 30 startups and two audience choice winners, we whittled the list down to six finalists, which include Billguard, ccLoop, Do@, Getaround, InvoiceASAP, and Sonar. Without further ado, the two runners-up are Billguard and Sonar (that’s the first time we’ve had two runners-up). 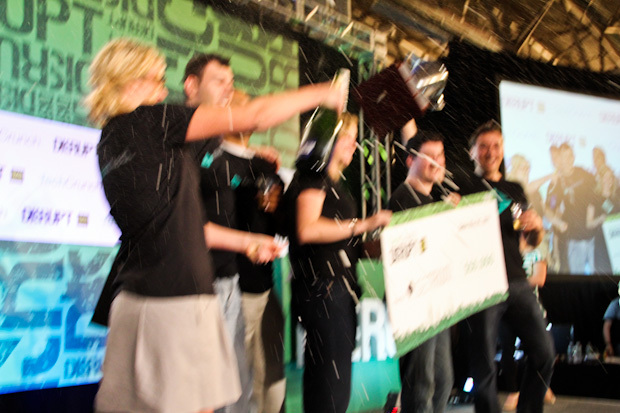 And the winner is….Getaround! Here’s what Getaround told us backstage after they won the cup. Getaround is a car rental market place where you can rent a car by the day, hour or week through a smartphone app. Getaround’s all inclusive package, which includes insurance, 24 hour roadside assistance, a Getaround car-kit, iPhone app and a web app makes it easy for people to conveniently car share anywhere. The company’s founder said today that currently the startup has signed up 1,600 cars for sharing since its launch yesterday, which is 20 percent of car-sharing giant Zipcar’s fleet of 8,000 cars. Getaround was a hit with the judges when the startup pitched the idea on Tuesday; with most of the judges wishing they could have invested in the company. Getaround has received seed funding from General Catalyst Partners, Barney Pell and others. In addition to a $50,000 grand prize, the company has just been handed the Disrupt Cup, taking over possession from Disrupt San Francisco winner Qwiki. The Microsoft Bing Decision Award: do@. This award goes to the Startup Battlefield contestant who is helping users make good decisions on the fly. Do@ will win a lunch meeting with Qi Lu, President of Online Services and SEO consultation with the Bing Webmaster Team; and Microsoft will help plan do@’s launch party. A special thanks to our sponsor partners for the conference: Sprint, Google, Drund, Qualcomm, Palantir, TokBox, iContact BrightIdea, Mashery, Twilio, Bing, GE, Media Temple, MailChimp, Zecco, SecondMarket, and Red Bull. You can find a complete list of our sponsors here. Qwiki TechCrunch Disrupt Cup Video 2011 from Qwiki on Vimeo.